Laze away a warm sunny afternoon relaxing over a delicious seafood lunch in the shade of ancient olive trees accompanied by the sound of birds, cicadas and the humming of bees; enjoy a leisurely swim in your private swimming pool before basking in the sun on the patio and drinking in the views surrounding your restored trullo; explore the nearby charming city of Ostuni, wandering along narrow roads and alleyways to hidden churches and houses rich with medieval history. 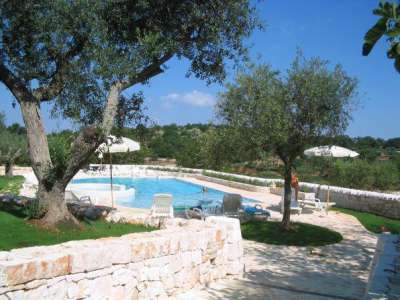 Mostly located in quietly beautiful rural locations in the countryside of Apulia in the ‘heel’ of Italy and beautifully renovated to offer fabulous living space, there is trulli property for sale throughout the region all presenting an ideal investment opportunity for investors wanting something that little bit different. A trullo (plural – trulli) is a traditional dry stone building with a conical roof. Its style of construction is specific to the Itria Valley, in the Murge area of Apulia and the highest concentration of trulli can be found in Alberobello which has been designated a World Heritage Site by the United Nations. Built singly or in groups of up to five, the trullo would have been home to a single peasant family in the 16th and 17th centuries. The focal point of the living quarters was the fireplace - used for both cooking and heating -with additional living space in arched alcoves in the wall where the children would sleep behind curtains. To this day, support ledges for the communal bed - called Alcoves - can still be seen edging out of the walls of the smaller cones and small niches regularly punctuate the walls which were used to store or display decorative, religious or household items. Pleasantly cool in summer due to the thick stone walls and conical dome, the trullo would have been cold in winter and difficult to heat even with the open fire. It would also have been quite dark inside as traditionally there were few windows due to the proximity of other buildings and just an opening in the roof for ventilation. The family livestock and horses normally occupied one or more of the adjacent trulli and it is still possible to see the troughs they fed from, now converted into decorative features. As the family grew, so would their home and another trullo would be built adjacent to the existing structure, with a corridor 'punched through' the outside wall to connect them together. The traditional trulli is nowadays a very much sought-after type of property both as a second home and for holiday rentals and across Apulia there is a healthy supply of trulli property for sale in a range of sizes and locations. The larger properties – those with five cones or more - offer excellent opportunities for holiday rental income. Bordering the Adriatic Sea in the east, the Ionian Sea to the southeast, and the Strait of Òtranto and Gulf of Taranto in the south, the region of Apulia is one of the most archeologically rich and fertile regions in Italy and just one hour away from the airports of Bari and Brindisi. Chic seaside resorts hug the sparkling Mediterranean coast, whitewashed country towns nestle amongst historic olive groves and fragrance fields and the ancient cities of Trani and San Severo are full of the region’s famous gastronomic delights, historic wonders and cultural glories. Trulli property for sale in Apulia can be found throughout the region for a wide range of prices depending on the size and location. All will have been restored to a very high standard using traditional materials such as wood and stone and retaining the original thick stone walls and high conical ceilings but including modern amenities such as swimming pools, large terraces with superb views and luxury accommodation including fully fitted kitchens, modern en suite bathrooms and beautifully decorated interiors. 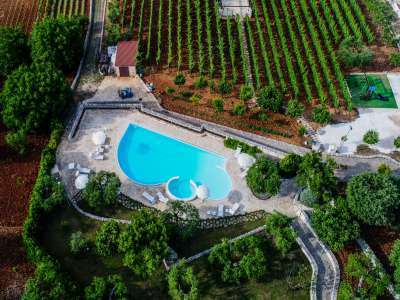 Trulli property for sale in Apulia are found in some of the most beautiful locations in the region; surrounded by green and shady pine forests, hidden down narrow country lanes or overlooking wooded valleys or olive groves. Prices can start from around €150,000 and rise to over €500,000 for the larger properties with more land. Italian real estate continues to be a safe investment; a report published last year by Moody’s, ranked Italy ninth in the property market, showing that the average year on year pre-crisis house price increase was a reasonable 5.9%. Even during the financial crisis, Italian property prices grew on average by 0.9% - a far cry from the dramatic property price falls seen elsewhere. 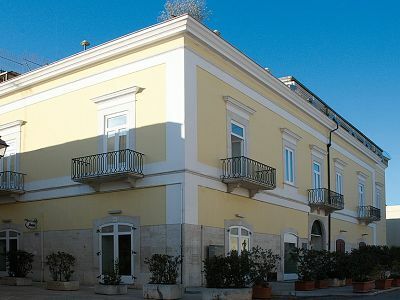 Apulia property have risen in the wake of its recent increase in popularity but not too steeply and still remain very competitive compared with other popular regions of Italy such as Tuscany. Trulli are special; evoking the traditions and romance of a bygone era yet providing all the convenience and luxury of modern day living, they are becoming increasingly popular as an investment both as a residence and also as holiday rental accommodation. 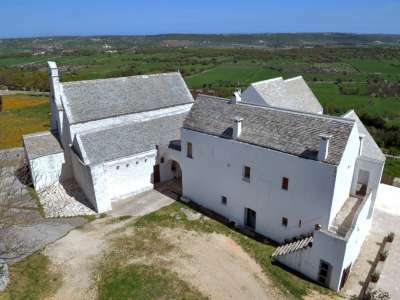 There is trulli property for sale in some of the loveliest areas of Apulia and for the wise investor, these unusual properties can provide both an excellent investment opportunity and a chance to own a piece of Italian history.